(03-01-2017, 09:48 AM)Edward Wrote: Wearing my mustard Oviatt today, loving it. The loops for the buttons are a bit trickier than I recall the ones on my Deco Polos being to begin with, but I'm sure they'll stretch in over time. It's bloody lovely. Yes, the loops will stretch. You can stretch them on purpose as well, they can take it. You have to figure out how to slide the loop over the button. I got the hang of it after the first few shootings. I found a crocheting hook to be useful initially, but yes, they do stretch eventually. Hahaha. Nik's magic wheel of vintage. I am wearing one of mine today. Lovely. However, the collars don't appear to be as deep or as long as on the summer polo. I preferred the summer collar as it was more suited to sitting open over the jacket. (03-07-2017, 03:07 PM)Sean Longden Wrote: I am wearing one of mine today. Lovely. However, the collars don't appear to be as deep or as long as on the summer polo. I preferred the summer collar as it was more suited to sitting open over the jacket. 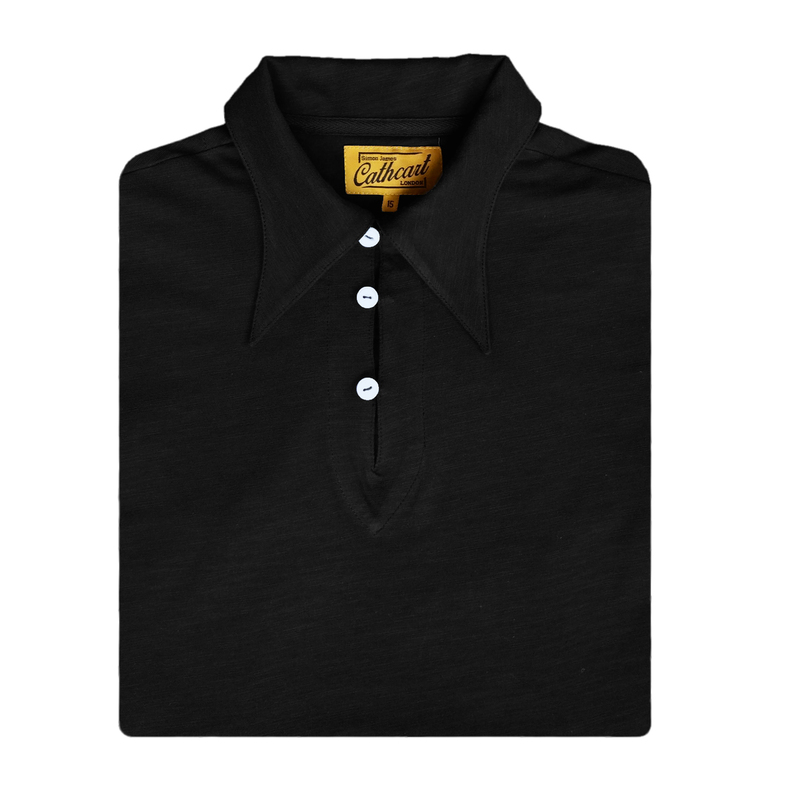 The shape of the collar is different and a bit smaller and I also would say that the collars on the summer polo are more stiff so it hangs in a different way. Mine arrived yesterday, so I'm gonig to be experimenting soon. I think I'll be wearing a tie with them a lot more (I didn't feel the deco or the Oviatt's placket really suited a tie; in any case, re the deco i have an aversion to short sleeved shirts with a tie), so this matters less. 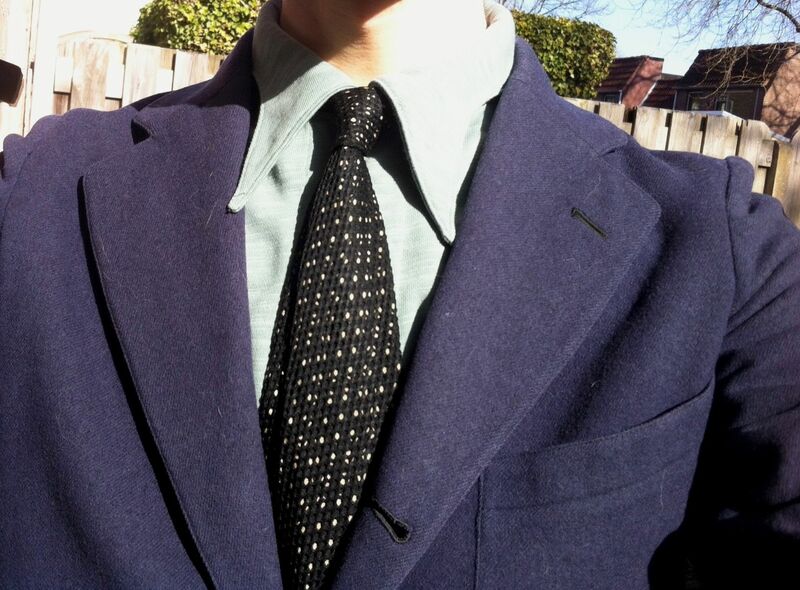 I wore the Oviatt a few times last week, it looks great out over a jacket collar. Perfect for it. Yes, it's different and I love it. When shooting the outfits the collar flip (over jacket) worked just as easily as with the previous design. As a matter of fact, since the collar opening is not dropped like the previous summer version it worked fine for me in any configuration - buttoned, unbuttoned, over jacket and under jacket collar. quick phone picture with 30's blazer and mesh tie. Really enjoying the polo, perfect weight, fantastic colour! Looking forward to the short sleeved version very much..Black / Charcoal would be great!!! Must admit to an initial struggle doing up the buttons (cramp ensued). Traumatized some 'Chavs' yesterday by wearing the collar outside of my A-1 :-)...'Ready For Take Off'...Poor Boys!!! Loops enlarged and thicker, collar spread closed, +1" added to front and back length, short sleeve, summer weight, 8 colours. Sneak peek below, thanks Swinglish, will load all colours in new thread tomorrow or monday. I think the black one should have darker buttons.